Mick looking happy beside his poster! So. Just imagine. You're my oldest friend. Imagine you're kind and brave and worthy and noble and good. Imagine we're equals, evens. Mates. Thanes. You of Glamis, the Thane of Glamis. You're the Thane of Glameis. Me of Lochaber. Imagine. Not too hard is it? The storytelling nature of the script means that in addition to being thoroughly entertaining it is perfect for those seeking a deeper understanding into the text and character of Macbeth. We had a number of school classes into see the show and they absolutely loved it! It was a pleasure to perform this amazing script at the Lyric Theatre, we absolutely loved it - see what other people had to say below. 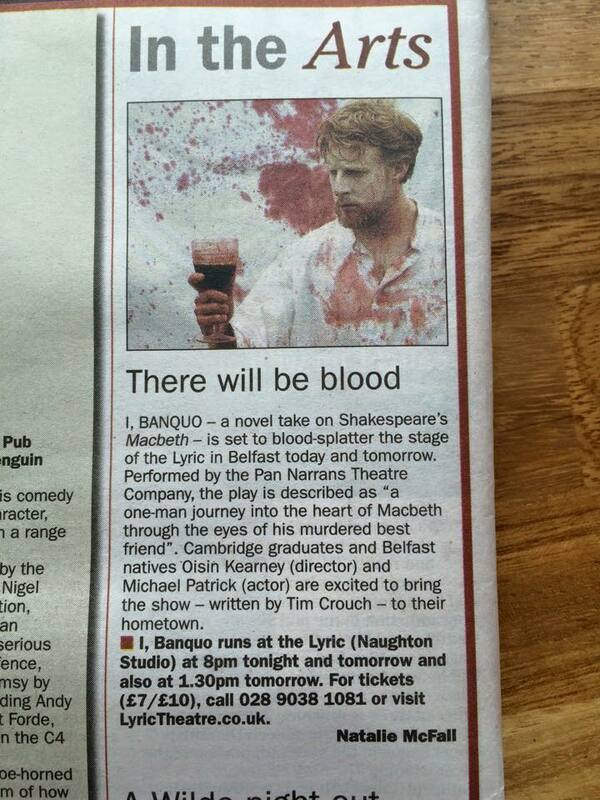 Michael's interview with Culture NI about inhabiting the character of Banquo. Anne Hailes Belfast Times Review: "Michael Patrick is an experienced actor and a natural story teller... [we] were riveted by his performance...sensitively directed by Oisin Kearney this is an outstanding piece of theatre... this is theatre at its best." Gigging NI Review: "a captivating different perspective on the examination of the psyche"
The Thin Air Review: "a powerful performance ... [Michael] spits fire at the audience before turning, just as quickly, to reflect on his own piteous fate...The fantastic sound production stacks on the atmosphere"
Rathmore Grammar School Pupil Review: "an amazing show... we were engaged and listening to what he had to say. 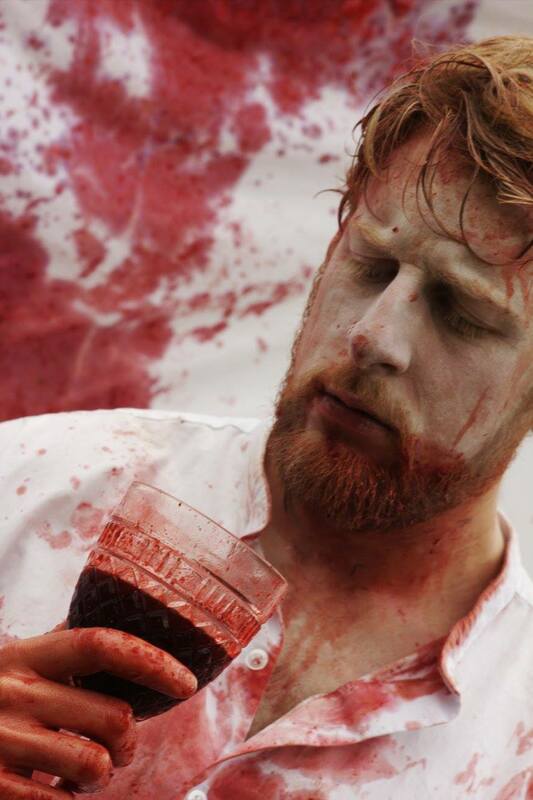 He went through the story of Macbeth in a way that was so precise and detailed it was hard not to listen"